** Is Pakistan’s Stability in India’s Interest? As Stephen P. Cohen argues in his book, Shooting for a Century: The India Pakistan Conundrum, until a few years ago, the prospect of a “failed” Pakistan didn’t disturb India, but in the contemporary situation, given the rise of Islamic extremism in Pakistan, its acquisition of nuclear weapons, and the state’s economic weakness, the thought of a failed nuclear-armed state next door is worrying India more and more. Daniel S. Markey maintains that despite having suffered from a number of Pakistan-based terrorist attacks, New Delhi doesn’t view the military conquest or the breakup of Pakistan as a realistic approach to resolve the long-standing rivalry; rather, it sees Pakistan as an enormous mess and “not one India would want to inherit even if it had the military tools to sweep across the border unobstructed.” Arguably, India’s security is increasingly dependent on Pakistan’s stability. On Monday, India carried out its fourth successful test launch of its Agni-V nuclear-capable, three-stage, solid fuel intercontinental ballistic missile. The test was carried out off Dr. Abdul Kalam Island in the Indian state of Odisha. “All the test parameters of the missile, which was tested for its full range, were successfully achieved. The missile splashed down near Australian waters,” an Indian official told the Times of India. “Successful test firing of Agni V makes every Indian very proud. It will add tremendous strength to our strategic defence,” said Indian Prime Minister Narendra Modi, in a statement released on Twitter. Even as the Narendra Modi government has turned its full attention towards promoting digital transactions, there are key questions being posed by the people -- is it is safe to trust the Internet? Is our country is ready for safe digital transactions? So, the Rediff labs team analysed the data from the National Crime Records Bureau on cyber crimes that have been reported across the country. The map, above, shows the change in the number of cyber-crimes reported in each state in 2014-2015. The top three states where the number of crimes increased the most in this period are Odisha, Tripura and Bihar. Cyber crime figures have also risen in states like Maharashtra, Uttar Pradesh and Karnataka. The states that fared better include Sikkim, Goa and Arunachal Pradesh. The map, above, shows how various state governments have responded to tackling cyber crime by comparing the number of persons arrested in 2014-2015. The data reveals that even though cyber crime is lower in states like Bihar, Tripura and Odisha, they have been highly responsive in arresting those who perpetrate such crimes. On the contrary, even though cyber crime cases are high, states like Maharashtra and Karnataka haven't had much success in tracking down the accused. Considering the data on display, how then can the government assure safe online transactions? In what may be termed a significant strategic development, India successfully conducted the launch of the Agni V ICBM (intercontinental ballistic missile) of more than 5,000 kms on 26 December. Touchdown occurred in the waters near Australia and preliminary reports suggest that the principal technical parameters have been successfully accomplished. This is cause for considerable satisfaction and the entire DRDO team and other agencies responsible for this launch are to be applauded. India embarked upon its integrated guided missile development program (IGMDP) in 1983 when PM Indira Gandhi was at the helm of affairs and former President, Dr Abdul Kalam – the much loved Indian ‘missile man’ was the project director for the Agni program. As a young notetaker at the PM’s annual conference with the military commanders, one recalls the gravitas with which nuclear weapons and related missile capability were perceived and Mrs Indira Gandhi exhorting the techno-scientific apex of the country to enable India to acquire this capability. It was a period when India was under severe US-led technological sanctions and this program had to be pursued under very adverse conditions. Why India Will Miss President Obama? Last month, USA granted India the status of a major defence partner although it is still unclear what it entails in terms of the level of technology transfer. However, it was yet another evidence of the fact that the Indo-US relationship is steadily progressing politically. The Obama administration has built up on the relationship throughout the 8 years and it remains to be seen what the incoming Trump administration will make of the current relationship. The India-US relationship changed due to strategic and economic reasons in the 1990s. The 123 was the initial center-piece of the relationship followed by the DTTI and now the major defence partner status. But the most important political speech for the relationship was made by President Obama at Siri fort auditorium during his trip to India. Here was a US president in nearly 70 years of our independence who spoke directly to the reality of India to the people of India. He invoked liberal and conservative Indian leaders of the past. He invoked the necessity for embracing diversity, eradicating poverty and developing strategic partnership based on common interests and values. He cited evidence from the genuinely natural aspects of the ‘natural relationship’ that is often invoked- democracy, creative spirit, the dignity of the individual, the progress of inclusive growth. He realized that India and the US are two big countries with unmatched diversity. The world’s oldest democracy and the world’s largest democracy had no option but to embrace each other’s status in the international system. It is all too often the case that such speeches are absorbed by a pinch of salt as acts of symbolism rather than substance. But the 2016 presidential election campaign has thrown up a remarkable fact. President Obama’s speech in India was no different to the many speeches he gave to his own American people in the run up to the election. The speeches were same in tenor and substance. It reflected the same anxieties that he had about the United States as he had shared with the people of India. He did not distinguish between the internal divisions and external threats that face both India and US due to the similar nature of their societies albeit with vast differences in terms of economic development and capabilities. The Siri fort speech therefore, was intended to strike a chord at the most difficult of all strategic variables- the political level. "(The three countries) expressed particular concern about the rising activity in the country of extremist groups including the Afghan branch of IS," ministry spokeswoman Maria Zakharova told reporters after the meeting. The gathering, the third in a series of consultations between Russia, China and Pakistan that has so far excluded Kabul, is likely to deepen worries in Washington that it is being sidelined in negotiations over Afghanistan's future. KABUL, Afghanistan (AP) — The Afghan government expressed concern over a high-level meeting on the country held in Moscow on Tuesday between Russia, China and Pakistan that did not include any Afghan representatives. Afghan Foreign Ministry spokesman Ahmad Shekib Mostaghni said his government was not invited and hasn't been briefed on the agenda. He said this approach, regardless of the good intentions of the participants, would not help the situation in Afghanistan, where the government has been at war with the Taliban for more than 15 years. Pakistan's Foreign Ministry said in a joint press release that the three countries discussed the "deteriorating security situation in Afghanistan" and the "increased activities of extremist groups," including local affiliates of the Islamic State group. It said the three agreed to continue working toward an "Afghan-led, Afghan-owned peace and reconciliation process." The joint statement said Russia and China, as permanent members of the U.N. Security Council, confirmed their "flexible approach to delisting Afghan individuals from the U.N. sanctions lists" as a contribution to peace efforts. "The parties agreed to proceed with consultations in an expanded format and would welcome the participation of Afghanistan," it said. At a time when the restive Kashmir Valley was gradually limping back to normalcy after witnessing one of the longest spells of unrest in the aftermath of killing of Hizbul Mujahideen commander Burhan Wani, the issue of granting ‘identity certificates’ to the children of West Pakistan refugees for getting into central paramilitary and the Indian Armed Forces has once again ignited the spark and allowed discredited separatist leaders and disgruntled opposition parties to spearhead another agitation to protect Jammu & Kashmir’s special status. Protest marches have been planned by separatist leaders and ‘wake-up’ calls have been belted out using loudspeakers fitted atop religious places, to mobilise large crowds to resist fresh attempts made by the PDP-BJP alliance Government to address the long-pending issue of resettlement of west Pakistan refugees on humanitarian grounds. 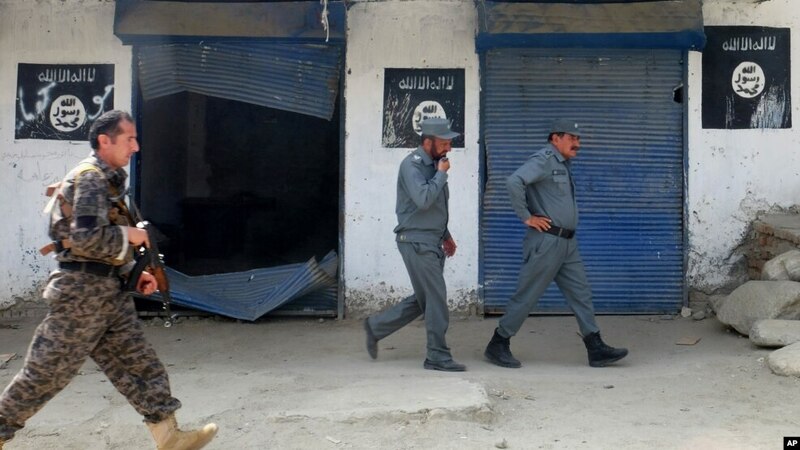 Top Foreign Ministry officials from China, Pakistan and Russia will meet in Moscow on Tuesday to review what they perceive as a "gradually growing" threat to their frontiers posed by Islamic State extremists in Afghanistan. "This is an existing forum for undertaking informal discussions on issues of regional peace and stability, including the situation in Afghanistan," Pakistani Foreign Ministry spokesman Nafees Zakaria told VOA. Pakistan's foreign secretary, Aizaz Chaudhry, will lead Islamabad's delegation, he added. Officials say future meetings could include Iran. Afghan President Ashraf Ghani's national unity government has reportedly questioned the motives of the trilateral dialogue, which will take place without Kabul being represented. China's Aircraft Carrier: The Ultimate Weapon or Paper Tiger? A recent op-ed in the Chinese state-run Global Times confirms what military analysts have been saying for years: China wants to turn its one aircraft carrier into a much larger force of multiple carriers that can be used to gain geostrategic advantage over America. "The Chinese fleet will cruise to the Eastern Pacific sooner or later. When China’s aircraft carrier fleet appears in offshore areas of the US one day, it will trigger intense thinking about maritime rules. In addition, China needs to think about setting up navy supply points in South America right now." 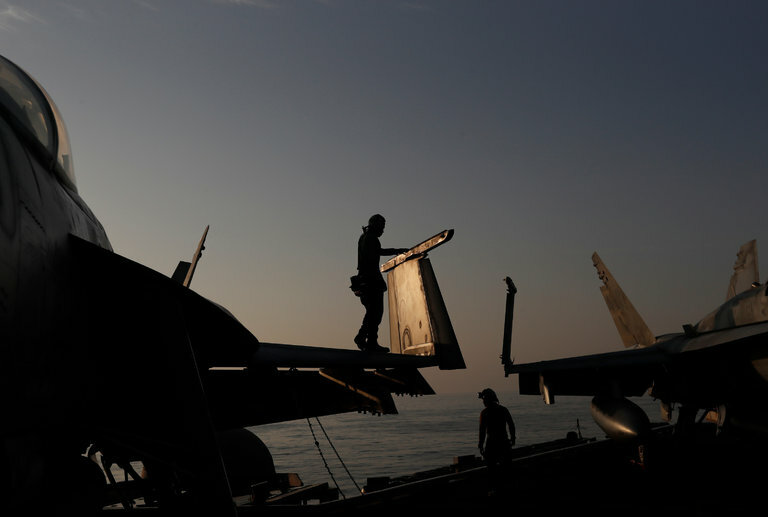 A Navy sailor maintaining a fighter jet on the deck of the U.S.S. Dwight D. Eisenhower last month. Joint Stars and other surveillance planes “paint a picture” of the Islamic State on the ground for United States fighters and bombers to attack. ABOARD A JOINT STARS SURVEILLANCE PLANE, Over Northern Iraq — Flying at 30,000 feet, the powerful radar aboard this Air Force jet peered deep into Syrian territory, hunting for targets on the ground to strike in the looming offensive to seize Raqqa, the Islamic State’s capital. It was on a mission like this several weeks ago that analysts discovered a hiding place in the central Syrian desert where the Islamic State was stashing scores of oil tanker trucks that provide the terrorist group with a crucial financial lifeline. Acting on that tip and other intelligence, two dozen American warplanes destroyed 188 of the trucks in the biggest airstrike of the year, eliminating an estimated $2 million in oil revenue for the Islamic State, also known as ISIS or ISIL. MOSCOW — A senior Russian military official says domestic industries have learned to produce engines and other parts previously imported from Ukraine. Deputy Defense Minister Yuri Borisov said in a Tuesday interview with online Gazeta.ru that the lack of supplies from Ukraine hasn't had a significant impact on Russia's military capability. Borisov says Russia acted quickly to develop the industrial capacity to supply its own military hardware. Ukraine cut all military exports to Russia after Moscow's 2014 annexation of Crimea and support for a pro-Russia insurgency in eastern Ukraine. Until then, Russia had depended on Ukrainian defense industries to provide numerous components for its weapons, the legacy of close ties between the two ex-Soviet neighbors. TEL AVIV, Israel (AP) — The Middle East regional chaos has weakened Israel's enemies and created a low probability of war involving the country in 2017, a senior Israeli military officer said on Wednesday. Hezbollah is bogged down in the Syrian civil war and has sustained heavy losses, while Hamas is deterred and in crisis mode having lost much of its support from the outside, he added. Still, he cautioned that an unexpected "dynamic of escalation" could always risk sparking a new conflict. "In 2017, the most probable war is one that both sides didn't want," he said, sharing a year-end Israeli intelligence assessment. He spoke to reporters on condition of anonymity in line with military protocol. The secret source of fake news. It’s discovery will change America. Summary: Our leaders have made a discovery of the sort that changes the destiny of nations. It is a secret that explains much of modern American history. We have become gullible, seeing the false beliefs of others but credulously believing what our tribal leaders tell us. The avalanche of “fake news” is the logical response by our ruling elites. After WWII our ruling elites have grown increasingly bold in their lies (see the Big List of lies by our government). They have seen how we credulously believe even the most implausible stories, and that we inflict little or no penalty when their lies are discover (even Bill Clinton’s conviction of contempt of court and disbarment for lying under oath didn’t dent his popularity among Democrats). The rising tide of fake news naturally results as awareness of our gullibility spread among our ruling elites. We see the lies of our foes but remain delusionally ignorant about the lies of our tribe. This is comically obvious on comment threads, where attacks on tribal truths are brutally repulsed, but politically pleasing and outrageous lies go without contradiction or protest. Intelligence unambiguously linked with defence and security provides a decisive advantage to law enforcement agencies and military commanders in times of war and peace. Some significant events in Europe and Asia recently occurred that left deep impacts on the evolving nature of EU intelligence cooperation on law enforcement level with the United Kingdom. Major Private and state intelligence agencies failed to intercept and disrupt the exponentially growing networks of radicalised groups and lone wolf attacks; for that reason the increasing number of dangers across borders could not reflect in their policies and strategies. The current waves of lone wolves attacks in EU are the most extensive and dangerous the continent has ever seen due to the massive increase in migrants in EU that caused insecurity and political pressure, while their involvement in recent terror-related attacks in Brussels, France, and Germany raised serious questions about the nature of their perceptions and resentments towards European values. Majority of people, who entered the EU and the UK, used false documents and information to hide their identity. Britain learnt a lot from these consecutive EU intelligence failures, and adopted an intelligence-led operational mechanism against terrorists and radicalised elements. When talking about the U.S. Army Special Operations Command (USASOC), we have to differentiate between “ARSOF” (Army Special Operations Forces) and all the units within the USASOC purview. First, USASOC does not have proponency over the Special Operations Aviation Regiment (SOAR), any JSOC unit, the 75th Ranger Regiment, or the 528th Sustainment Brigade. USASOC’s main two subordinate commands, the U.S. Army John F. Kennedy Special Warfare Center and School (USAJFKSWCS) and 1st Special Forces Command (Airborne) contain the majority of forces that are what most refer to as “ARSOF.” That is, the three regiments of Special Forces (SF), Civil Affairs (CA), and Psychological Operations (or “Psyop,” also known by their mission acronym of Military Information Support Operations (MISO)). These three forces are really what USASOC concerns itself with, as SOAR’s proponent is Army Aviation and their working partner is JSOC. Likewise, the Ranger’s proponent is the Infantry and they work mainly with JSOC as well. Within USASOC, therefore, and within its two subordinate commands, SF is king. Much like JSOC running SOCOM, SF runs USASOC, USAJFKSWCS, and 1st SF Command. In fact, when many people within USASOC or even within DoD talk about ARSOF they are really talking SF. This makes sense on one level: the Army values combat arms and the tactical level, and SF provides that in spades. A CA or Psyop officer in Afghanistan does not hunt down and kill terrorists. It is much more difficult to figure out the CA and Psyop effects in the short-term. Their activities are concerned with the long-term and the non-linear. They also do not have the luxury that SF enjoys of being able to deviate from their specialty and run around killing terrorists. SF, supposed to be concerned with building local capacity, can build that local capacity ostensibly while leading local forces in killing terrorists and insurgents. Psyop and CA, when they do work through the locals, are still bound by their core specialties of influencing and building civil capacity respectively. There has never been, nor will there ever be, a CA or Psyop commander of USASOC. Three star generals within ARSOF come from commanding TSOCs and command of TSOCs come from being Group (brigade level, commanded by a colonel) commanders in combat or something similar. Even though it is a stretch to say that SF really commands forces in combat at the Group level, CA and Psyop definitely do not. Therefore, with the current personnel system, you could be the smartest colonel in the entire DoD, capable of amazing leadership, but if you are CA or Psyop you will be lucky to make it to 1 star general, much less higher. 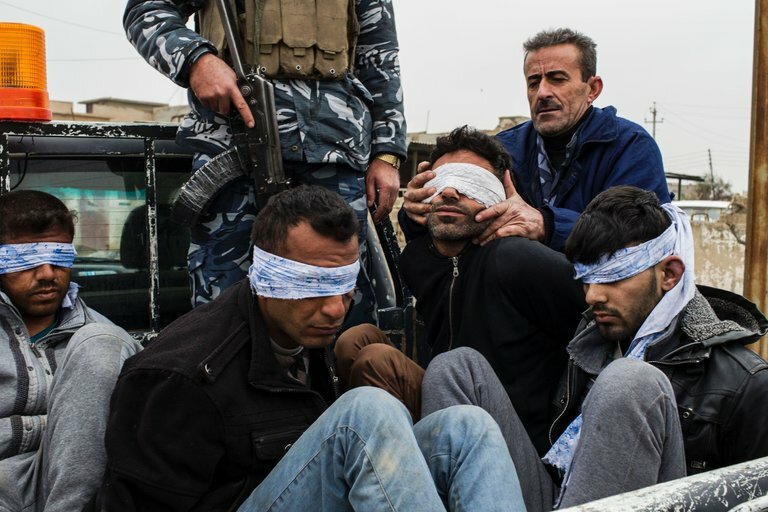 In the past few weeks, the Islamic State has sustained a string of military defeats: ousted from its refuge on the Libyan coast, struggling to maintain its hold on the Iraqi city of Mosul, and losing ground in Syria. Yet as the deadly truck attack on a Christmas market in Berlin made clear, those losses do not diminish the group’s extraordinary power to inspire terrorist mayhem around the world, and may even help fuel it. In just the past year, even while under near continuous bombardment by the American-led coalition, the Islamic State has claimed responsibility for more than three dozen attacks, stretching across 16 countries on four continents. That figure does not include the organization’s home terrain in Syria and Iraq, where it has lost 50,000 fighters in the past two years, according to the Pentagon — nearly as many dead as the United States lost in the Vietnam War. Many of the attacks beyond the Middle East were carried out by assailants who cited their inability to reach the group’s Syria refuge, its self-proclaimed caliphate, as a motive for acting at home. This year marked a turning point in military uses of cyberspace. For the first time, the United States, United Kingdom, and Australia acknowledged deploying offensive cyber tools against the Islamic State. The fact that the United States, China, Russia, and others break into adversary computer networks is not new–intelligence organizations have done so since the early 1990s. But openly acknowledging that a military, as opposed to largely civilian intelligence organizations, is using malware to gain an advantage during an armed conflict breaks new ground. It may be wishful thinking, but it’s just possible that Vladimir Putin has done us a great favor. He has alerted us to the true threat of cyberwarfare in a way that – again, just possibly – might prompt us to view it as a serious national danger and begin to take effective countermeasures. But the standard response to these breaches has been subdued. We see cyberattacks “as mostly annoyances – inconvenient, maybe even a little disruptive, but nothing we can’t live with,” says Jeffrey Eisenach of the American Enterprise Institute. This complacency is not entirely misplaced. Using false information to disorient and mislead an adversary is not a new tactic of contemporary warfare. In fact, false signaling is not even unique to the human species, for animals and insects predate us in using these techniques to feign weakness to predators and ensnare prey. And as the threat and effect of psychological warfare becomes more pronounced in cyberspace, policymakers must address this burgeoning security threat. For if a foreign power can freely employ technical and political artifice to undermine core democratic institutions, then this is the way a democracy ends, not with a bang, but with a whimper. Thus, as a baseline to fortifying the psyche of the United States intelligence community, who in turn help inform and advise America’s political and military leadership, this article recommends a creative health-based approach. The Cipher Brief: How would you characterize Russian and Chinese cyber capabilities? Leo Taddeo: Starting with the Chinese, the hallmark of Chinese cyber collection capability is to enable their State Owned Enterprises (SOEs) to compete on an economic level. We see a lot of network intrusions and extrications of intellectual property (IP). That’s a hallmark of Chinese hacking groups, particularly 61398, which, as you know, was the subject of an indictment in the western district of Pennsylvania, where there was hacking into U.S. Steel, Westinghouse, and others. So that is emblematic of the Chinese hacking effort. If you take a look at their economic plan, many of their hacking groups are aligned to collect the kind of IP and business technology that will enhance the key activities that they need to grow their economy.